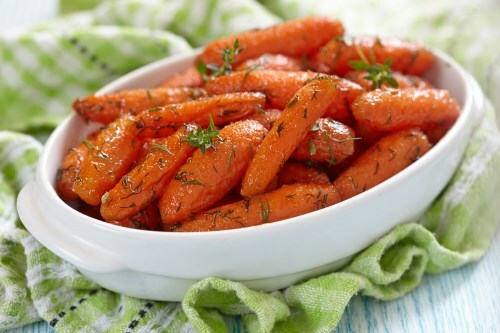 Place carrots into a large pot and cover with water. Bring to a boil over high heat, then reduce heat to medium-low, cover, and simmer until tender, about 15 minutes. Drain. Melt butter in a skillet over medium heat. Stir in carrots; cook and stir for 1 to 2 minutes. Sprinkle Parmesan cheese on top. Wait 30 seconds before stirring into carrots. Cook and stir for 2 more minutes.